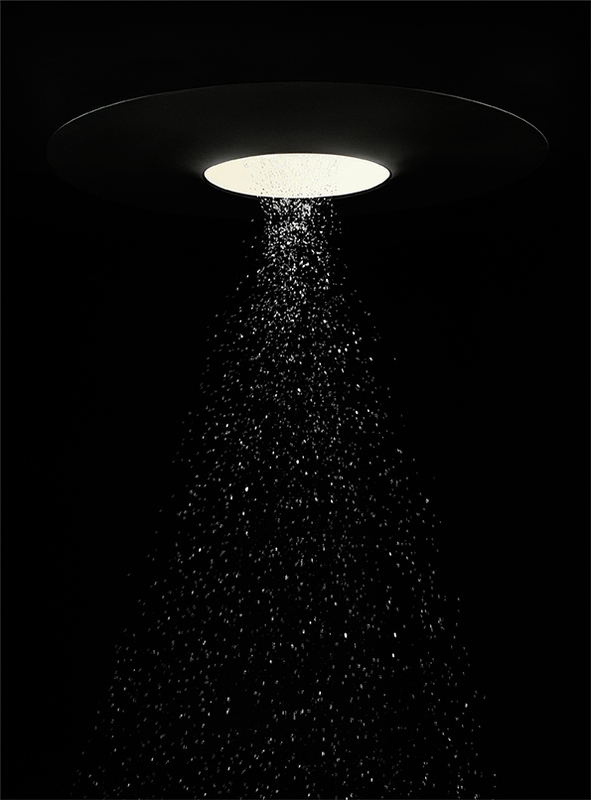 Water, light, energy – Rainmoon represents a new dimension of a highly-individual shower experience. 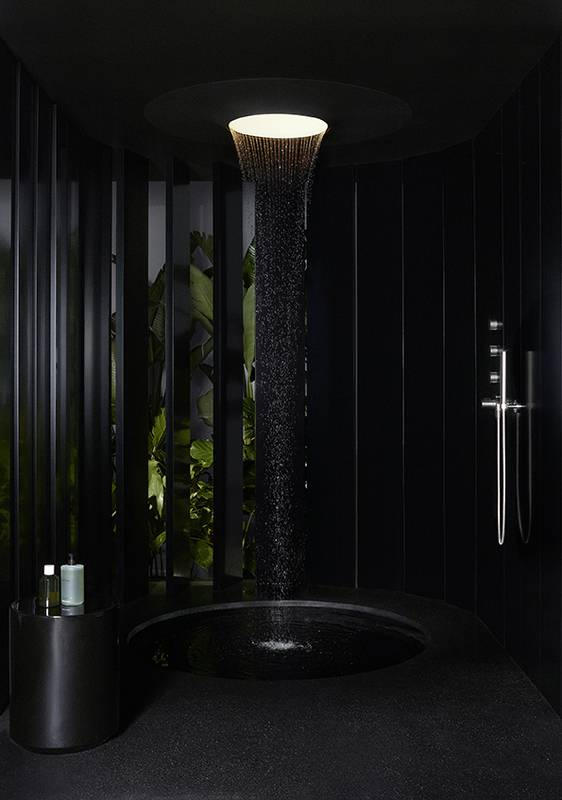 The spa application embodies the next level in the Dornbracht LifeSpa and permits a unique encounter with the element of water: two newly-developed flow modes and a unique moonlight are combined to create an emotional water experience providing new life energy. 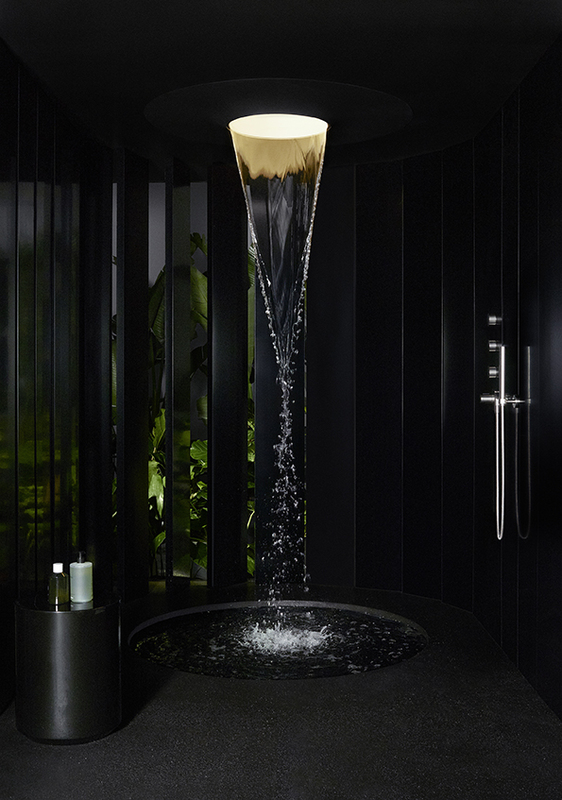 Rainmoon is distinguished by its particularly minimalist design, attributing focus to the unique water experience. A dome in the ceiling forms the central element which is seamlessly integrated in its surroundings and practically merges invisibly with the bathroom or spa interior. The dome offers a particularly deep-view effect: by means of a concealed light strip inside the semi-sphere, RAINMOON creates the perfect mood lighting while generating a feeling of infiniteness when gazing upwards. The unique water experience is created by two innovative flow modes. The effect of water on the body includes a psychological and spiritual experience. Rainmoon is the epitome of bliss giving rise to emotions such as relaxation, refreshment or security by combining water and light. Rainmoon is our response to the growing desire for balance and joie de vivre of the human being as there is an increase in everyday demands on people. Maintaining personal health is increasingly important – both physically and psychologically. The bathroom offers space for developing a personal health strategy.